We’re going to be doing a Quick Wins interview. If this is your first time tuning in, Quick Wins are when we have a chance to connect with individuals, discussing ideas, products, or services to help round out your consulting toolkit. For this episode, we’ve got Patrick Curtis. He is a former investment banker. He’s now the CEO and founder of WallStreetOasis.com. He shares some good insights on his career journey. He shares a little bit about the founding story of WallStreetOasis.com, which has an emerging consultant community on there. He’s in the beginning of starting to collect a lot of data on user-driven data collection on the consulting industry that you will find extremely helpful over time. 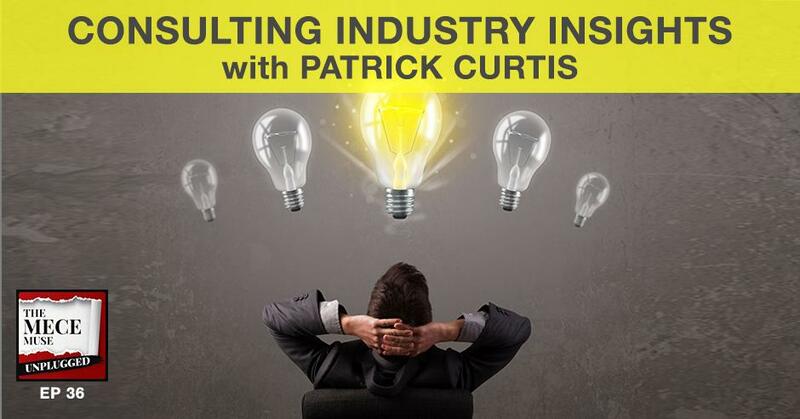 You’ll be able to get some cool insights and trends on the consulting industry. If you are data driven, you’ll love the numbers, go-getters. You can go to WallStreetOasis.com and sign up, become a member, and start to get some of the emerging data sets and insights that’s been provided, things like what schools are being heavily recruited at certain consulting firms, or consulting firms salaries. I know those that are in consulting, they can never get enough talking about salary and trends. You can start to get that type of information at WallStreetOasis.com. Patrick shares his vision of the service that he’s providing and about how you can get connected. I want to share to the go-getters, my book has been officially distributed. The MECE Muse has officially been released, so make sure you check it out. Get yourself a copy. We’re shipping worldwide and we’ll keep you posted. I know we’ve got a lot of things in the works in terms of how you are able to get a copy of the paperback book and we’ll keep you posted on those efforts. With that, let’s get started. Patrick, welcome to The MECE Muse Unplugged. How are you doing? I’m super psyched to get a chance to connect with you. Big fan of your site WallStreetOasis.com. I know this is going to be a great conversation. Patrick, maybe you could take a moment to introduce yourself to the go-getters of the MECE Muse Unplugged. I’m Patrick Curtis. I was born in the Boston area, grew up around there, and went to college at Williams, middle of nowhere. I ended up working in investment banking for a few years. After that, did private equity and eventually founded Wall Street Oasis around 2006. I had been working in the online space trying to make it the best community possible for the past almost twelve years now, which is shocking. As part of that, our consulting community has really taken off over the last seven years within Wall Street Oasis. First, I didn’t realize that WallStreetOasis.com was almost twelve years old. That’s pretty remarkable. Two, I didn’t know you were from Boston. What part of Boston are you from? I was born in Brooklyn and I grew up in a town called Andover, north of the city. I’d love to hear the founding story about WallStreetOasis.com. Maybe you can take a step back and share with us how you decided to go into investment banking and then how did you end up making the leap, starting the website, and anything you can share to people. When I was at Williams, I was an Economics major. I didn’t know what I wanted to do. Coming from a liberal arts school like Williams, you get to junior year and all of a sudden people are asking you, “What do you want to do?” A lot of students face this dilemma of, “Do you want to continue to be dependent on mom and dad, or do you want to be independent?” For me, I knew I didn’t want to have to be dependent on them anymore. I started doing research in terms of what types of companies we’re recruiting at Williams. The connection to Wall Street to investment banks, and even the liberal arts college was very strong, and consulting companies as well. I ended up interviewing for a bunch of consulting firms, in a bunch of investment banks. I struck out at a lot a lot of them, especially the consulting firms, but I can say that I learned a lot in the process. In 2002, right after 9/11 and huge market crash, I was able to land in investment banking job at Rothschild in New York, but it was definitely a long slog and very tough to land that interview. In terms of why and what, looking back and realizing how little I actually knew my sophomore and junior year when I started deciding this is what I want to do. It’s a little bit comical in terms of saying, “I knew I wanted to be an investment banker.” A lot of people fall into that path and that was probably the reason why I was just, “I don’t want to be dependent on my family anymore.” They’re paying the bills for my school. I wanted to be independent, move to a big city, and have a job that would allow me to do that. What’s fascinating about what you just shared is that, you mentioned about trying out on different consulting firms. I know a lot of consultants that have been eyeing the world of investment banking for quite some time, and they’re trying to decide if that’s where they want to maybe make a leap to get a little bit more experience that parallels the consulting industry. What would you say are some of the things that you enjoyed the most when you were working in that space and what were some things that you could do without? Consulting Industry Insights: There’s enough knowledge online being shared, whether that’s interview courses, that people understand that the competition is much more fierce. That being said, it still taught me an incredible amount in a very short period of time, especially given where I came from, liberal arts background, no finance, no accounting background, and being able to hit a ramp up within two years. Being able to be a wizard in Excel and being able to understand the complex balance sheets of companies. There’s definitely cons to the job and to the industry. It’s extremely demanding, especially in the junior ranks, but there’s also a lot of benefits, especially the exit opportunities. You mentioned about not really being able to strike out with the consulting firms. Maybe share like a story for the go-getters who may be in the throes of consulting interview or they’re going to the recruit. What were some of the lessons learned that you had from that experience? People who are more comfortable like myself, sitting in a room and having a one-on-one conversation, sometimes make the mistake of thinking that they can build a connection with the interviewer without doing enough of their technical background knowledge. That may have been more the case when I was in school back in the early 2000s. Nowadays, most candidates, there’s enough knowledge online being shared, whether that’s interview courses, that people understand that the competition is much more fierce. For myself, back in 2000, I felt like I can go in there and I can reason myself through these case interviews. I’d heard of them and done a few practice ones, but I hadn’t really drilled down into the frameworks. I hadn’t really drilled down and done a lot of mock interviews. You shouldn’t be using your actual interviews as practice. It’s a huge mistake that a lot of college students make. They don’t realize how competitive it is. They have good GPA, they go to good school, and they think, “If I come in here and I’ll do a few mock interviews and I’ll go in, I’ll just put on a smile and firm handshake.” It’s not enough nowadays. You have to wow them. In order to do that, there needs to be a lot of practice prior to the interview. It’s unbelievable, the amount I personally improved from my first interview to my 30th interview. It was a completely different person. Imagine if you front-end that, and you’re actually able to do all this practice, mock interviews with your friends, family, or mentor for example. I’ve actually been experiencing that here right now where to the point where, I always, in my experience we’ve been splitting hairs. Candidates are coming in and they’re on point because they understand the competition. They’ve got the resources, so it’s gotten even more so competitive than it has in the past because it’s a fewer slots and a lot more well-rounded candidates. I want to talk about WallStreetOasis.com. Share the story of how’d you wake up and decided to do this and a little bit about the beginning of the journey. It was late 2006. I came across an article, 30 Under 30, one of these lists of Forbes. I started my private equity fund then and I was working a manageable 60 hours where you can set up to 100 hours a week. I felt like I had all this free time all of a sudden. I was reading these businesses and what struck me was that some were excellent businesses, but none of them were necessarily revolutionary. They’re all good ideas, but none of them struck me as impossible to do. I thought to myself, “What could I do to start building my own thing where I’m not dependent on an employer for everything?” Part of the reason I was looking for that was because of my experience. I had been fired six months after starting my first job in private equity. I walk into a room expecting my first bonus and I’m let go. That was right after I had moved from New York after investment banking to private equity at a firm in Boston. That experience shook my confidence, made me step back and feel less secure. What could I build to protect myself over the long-term and have something that I can fall back on, either as a side income or as a full time business? Rewind to 2006, it strikes me, “It’d be great to start something myself. None of these are revolutionary. Why don’t I just start something about something I know?”I was talking to my friend who was, at the time, getting his PhD at MIT, so he knew all the tech computer stuff, which I still know very little to this day, and helped me create an online community. Initially, it was for investment bankers, and it was called TheEyeBankingOasis.com. It was rebranded several years later, but he’s the one who initially got me set up and started. I started growing it, marketing it, and getting it out to domestic banking clubs at all the universities. This was early enough and there was enough activity that got me very excited because I could see there was a need for it. I could see that people wanted a place to go online, to discuss interviews, to discuss strategies on how to network, to discuss how to break in. The site evolved into a career advice space where people would come to have fun conversations, but they’d also come to try and get advice for their specific situation, and it naturally extended to consulting, to private equity, to hedge funds, and the like. I do notice that there is a budding emerging consulting community on the site. Maybe share how you decided to leap. There is a parallel to the banking space, but maybe share a little bit more about the consulting side of the community. It was a natural extension of the investment banking side even though it’s a very different industry. I felt like the same candidates that are targeting investment banking are often targeting management consulting, because they’re some of the most sought after jobs. Most of the jobs that set you up best for long-term career success, in terms of the jobs that I knew, the jobs that I had interviewed for, and the jobs that I felt were of the standard caliber that the community was interested in. It was a natural fit. People would often be talking about investment banking, “I also have an interview at MBB. What are they going to ask me here?” Those conversations are already happening on the site organically, and so it was just a question of setting up a dedicated space for that area. Maybe share how you decided to create the report and some insights on what people can expect from the report. Is it annual? They can look and see what schools have a presence at what firms, and they can also even look at diversity statistics, “If I’m female and I want to work at XYZ, are they well represented?”We have all these data that we’ve collected over the years that we’re finally starting to bring to the forefront of the site, and so we created an entirely new main section. People now see this and they’re now contributing even more, so the data is getting better and better because you can gain access to it just by contributing your own data. We see this being something where with investment banking we have enough data where we can actually show trends year over year. We can show where one company’s in top or down, relative to the others. We can show compensation trends by position. Our goal with consulting is we’ll have the same type of thing for consulting firms. What would you say is one of the most surprising insights that you’ve gleaned from all the data you’ve been collecting? I was a little shocked that some of the work-life balance stuff in terms of the hours was much higher than I thought it would be. Not as high as banking, but they were up there in some of these firms and it surprised me a little bit that it wasn’t as tied to the typical firms. You’d think of like the Big Four or it wasn’t always those firms at the top of some of those lifestyle things. It had some firms that I hadn’t heard of, smaller consulting firms. There are some outliers where they’re working their consultants some extreme hours. That was a little bit surprising to me. I would think that the smaller firms would have less leverage to be able to do that to their employees, but I guess that’s not the case. There weren’t any huge surprises in terms of best leadership competence and overall professional development. Overall employee rank is the one you’d expect to be near the top. However, I would say that certain ones outside of MBB did creep into the top one or two in certain categories. It’s more interesting to see the nuanced differences versus the overall ranking, which doesn’t tell you as much. 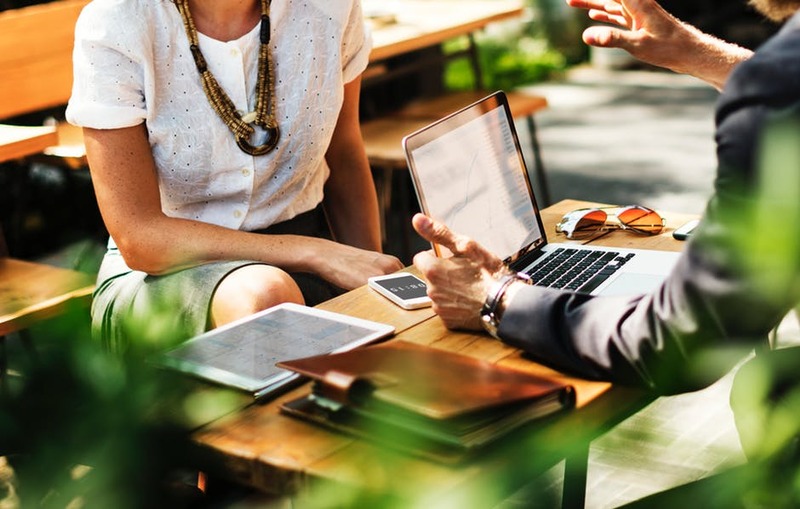 Consulting Industry Insights: Even if you did not get a job at a consulting firm, you can still contribute by adding your interview insight there. You mentioned that individuals, as they contribute, they can gain access to it. Maybe share a little bit about the different people. Is it all types of folks in consulting, outsiders, former consultants? Maybe share what kind of the perfect persona that you see to contribute to this. Anyone that’s worked at a consulting firm or had an interview at a consulting firm. Even if you did not get a job at a consulting firm, you can still contribute by adding your interview insight there. Talking about what was asked, where you were interviewed, what school you went to, because that gives us data on where they’re searching and who they’re interviewing. We still use that to help compile a certain portion of the reports. Even if you just had an interview, even if it’s just a phone interview, you can contribute, and it’s people who’ve worked at the firms that can give us more data on compensation and actual company reviews, so you could have even more, but even just to get one month free access, you can basically add in an interview insight and the whole report will unlock for you. That’s how we’re growing it. People are trying to see where the rest of these rankings are. That is helping us drive the submissions and giving us better data. It’ll be interesting over the years as you start to get trends analysis. The rate of submissions has gone up five to six times since releasing these reports. They see what’s behind in the database. It’s visual now and so, it’s much easier to understand what’s there. Everyone wants to be able to see it, so that’s helping grow the database. It’s going to make it more valuable to everybody. A lot of the things we talked about for the report were specific to some of the consulting shops out there. What about for freelance or solo, independent and consultants? Would they be part of the community you’re seeking or you’re just seeking those that work at the consulting houses? We do allow, if you have data on a company that’s not in the database. If it’s the small consultancy, two-person shop and we don’t have it, you can add and still gain access. I don’t know if it’s a one-person consultancy, it’s a little bit tougher. I don’t think it’s as valuable piece of data as people who are probably interviewing nobody or one person a year if they’re looking to just stay as an independent freelance person. It’s still valuable. It’s still a piece of data. It still gives us data on the industry overall in terms of competition. I know consultants love data. Our audience is going to be running to the site, not only to contribute, but also to see the insights. I’m sure there’s a lot of cool information out there. This has been a really great conversation. What advice would you give a new or aspiring consultant? Given your experience, exposure to the world of consulting, your community, I’m sure you’ve learned a lot along the way. What type of advice would you give someone that’s looking to come into this space? Make sure you do your research and your homework to understand what you’re getting into, what each firm offers, and the culture at each firm. Don’t assume that if I get into one of these firms, this is where I should go. Try to get to meet and understand the people and what it’s going to be like to work in a specific group because I know different firms have different kinds of processes in terms of how they assign you. It’s important to understand those nuances because it can make a big difference in your quality of life and also what skills you develop, which is very important for potentially your next jump. If people want it to get a hold of you, Patrick, how can they reach out to you? They can reach me through email, Patrick@WallStreetOasis.com or they can send me a tweet at @WallStreetOasis. Thank you so much. This is such a great conversation. I look forward to continuing this discussion and hearing about the reports. Appreciate it. Thanks so much for having me. Thank you, my go-getters for tuning in. This is Christie Lindor signing out for The MECE Muse Unplugged pop-up podcast. Here’s to your journey to greatness. I graduated with an MBA in entrepreneurial management from The Wharton School of Business in 2010. While at Wharton, I was actively involved in the entrepreneurial community, with Wall Street Oasis selected into the Venture Initiation Program in 2008 and awarded the Wharton Venture Award in 2009. 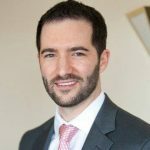 My experience includes two years in investment banking (restructuring group at Rothschild) and four years in private equity (Tailwind Capital) making investments in the healthcare and business service industries. In my spare time I enjoy playing poker, watching any Boston sports team and traveling abroad. I lived in Buenos Aires from September 2010 until June 2011 and now I’m back living in my hometown, Boston. Remember to connect with me on Linked In.